Ron and Maggie Tear Photography: Summit nearing. Blencathra is a superb mountain, standing almost alone at the edge of the Eastern fells. It has drama on all it's routes, add snow and it becomes almost alpine. 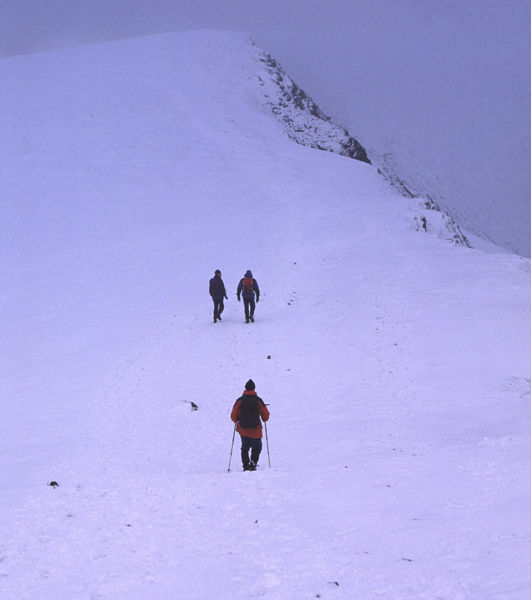 Here a group of climbers heading towards the summit that we had just descended.